Perhaps best of all, it uses coconut oil, which I think is probably the best possible fat to use in a recipe like this, striking the health/taste balance well. I think I’ve tried every possible fat in pie crust before finally arriving at this one. The eight-year-old me preferred Criso, for its mild flavor and stability. Shortening does have some advantages: it won’t melt if your kitchen is too hot or turn cold and hard (making it impossible to roll) if the weather is cool. The major downside, of course, is that it’s a big blob of hydrogenated oil and is horrible for you. Butter, on the other hand, gives the crust a flavor that I find out of place in pie crust and often results in a soggy bottom. It’s also more difficult to work with because it softens quickly. Vegetable oil pie crusts aren’t worth mentioning (they taste horrible, in my opinion), and lard, although it has all the advantages of Crisco, has many of the same disadvantages health-wise. Coconut oil turns out to be the perfect alternative. 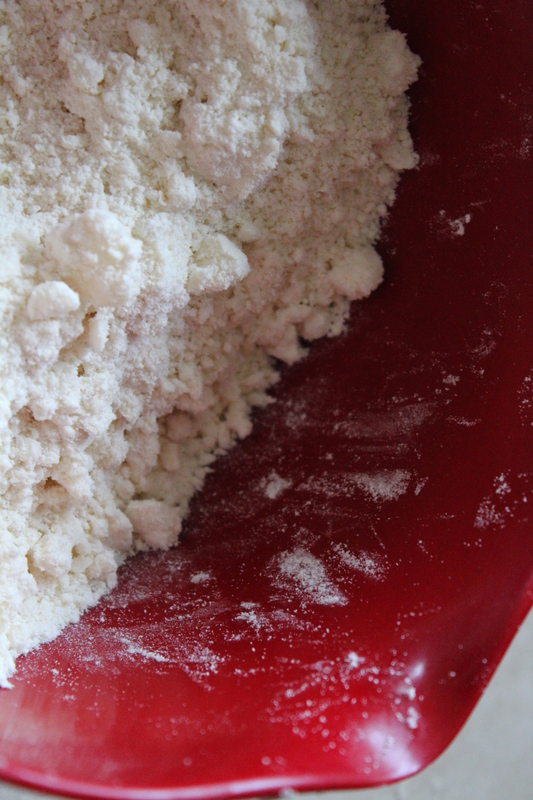 It’s a healthier fat, although by no means low in calories, but hey, it’s pie crust. It’s more stable than butter as far as melting and hardening goes. It still results in a flaky crust and it has a mild flavor. Perfection! Special Diets and Allergies: Vegan, dairy-free, nut-free. Speed it Up: There’s not much you can do to speed up this recipe, but you can save yourself time in the future: When I make this, I always use it for an open-face pie, so I roll out two rounds of dough, place them in two pans, and bake just the one I need for the recipe I’m preparing. The other I double-wrap in plastic and freeze. When I want another pie, I take it out, let it thaw completely on the counter, and follow the baking directions exactly as I would if I had just made it. This crust is dependable and delicious. It will flake beneath your fork yet keep a tenderly crisp bottom— not too hard and not too soft. Although the coconut oil should work well straight out of the fridge or a cold cupboard, you may have to let it sit on the counter for ten minutes or so if it is too cold to be workable. Conversely, if the kitchen is warm and the dough is overly sticky, you may have to place it in the fridge for ten minutes to let it firm up a bit before attempting to roll it out. It is possible to make this stretch to cover two 9″ pans, but I like the extra wiggle room that using 8″ pans gives me. That way, I’m sure to have enough for a nice crimped edge and likely even some to make mini cinnamon-pie rolls. To make these, take the leftover scraps, roll out, sprinkle with cinnamon and sugar, and roll up tightly. Then slice in 1/2″ rounds, place on a little cookie sheet or a double-thick piece of aluminum foil and bake until golden brown, about 20 minutes, while the pie is in the oven. This crust also works well for savory tarts and quiches. If you are cooking this crust with a filling already inside it, follow the recipe directions for the pie or tart. If you are baking it empty and then filling it, follow the directions below. You will need to weigh down the crust somehow to keep it from poofing up, thus becoming unfillable. If you, like me, do not have pie weights, I suggest using popcorn kernels to weigh down the crust because they seem to still pop fine even after being baked. Dried beans, on the other hand, do not cook well in, my experience, after being used as pie weights. Stir in the water, mixing just until combined. Separate the dough into two equal portions and pat each into a flat, round disc. Place a piece of tin foil inside the pan, large enough to cover all of the dough. Fold in the foil so that the pie’s crimped edges are exposed. 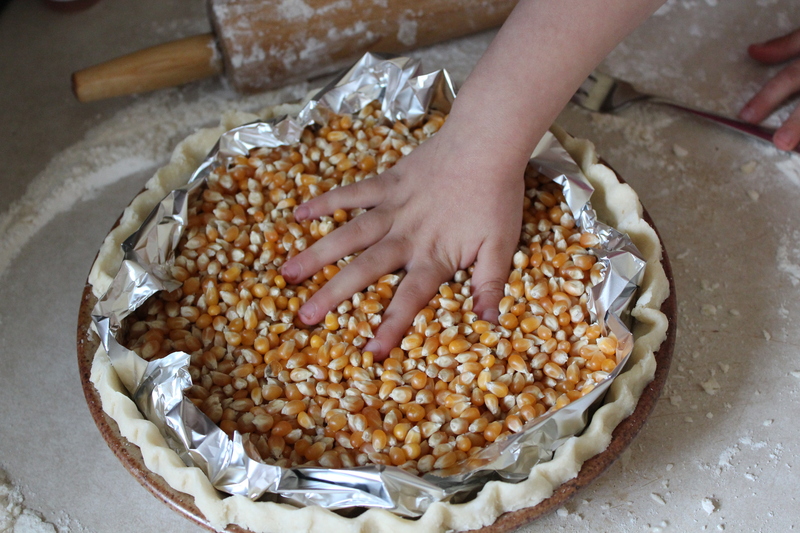 Fill with dried popcorn kernels or pie weights. Bake in the oven for 15 minutes. Remove the foil. Bake another 5 minutes or until the crust is golden brown. Let cool, then fill with something delicious. Okay, I’m not sure which I’m happier about, that you share my love of coconut oil for pie crusts, or that you’ve figured out popcorn as weights (genius). Yes, coconut oil is a marvelous thing, isn’t it. I did sign up (I saw the link on your blog) but I don’t see my name on the list, so I’m not sure if I was too late. I hope not! I signed up for a dessert. I haven’t figured out the coding part yet. I tried this – 1st of all: I only had enough for 1 crust. Did I do something wrong?? I’m glad it looks good. The recipe makes enough for two 8″ crusts, so if you’re using a 9″ pan, that would be part of it. Also, I might just roll it out much thinner than you do. That’s the tricky thing about gauging the amount a pie crust recipe yields. 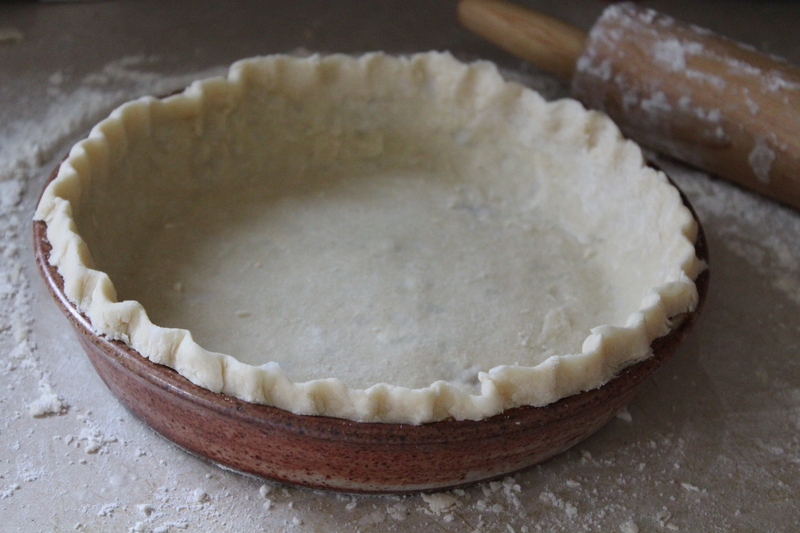 I used to always make 1.5 times of all pie crust recipes, because it seems I often need some room for error. I hope it turned out well! It says nut-free, but isn’t coconut a nut? I’m just curious because I’m avoiding nuts and dairy and need a pastry crist recipe… Thanks this looks yum! Most people who are allergic to tree nuts can safely eat coconut from what I understand, but I would certainly talk to your doctor about your specific allergies. Good luck! Would whole wheat pastry flour or whole wheat flour work instead of all-purpose flour? I haven’t tried either, but I think it’s less likely to be as flaky. I would try whole wheat pastry first, as I think you’re more likely to be successful with that than regular whole wheat. 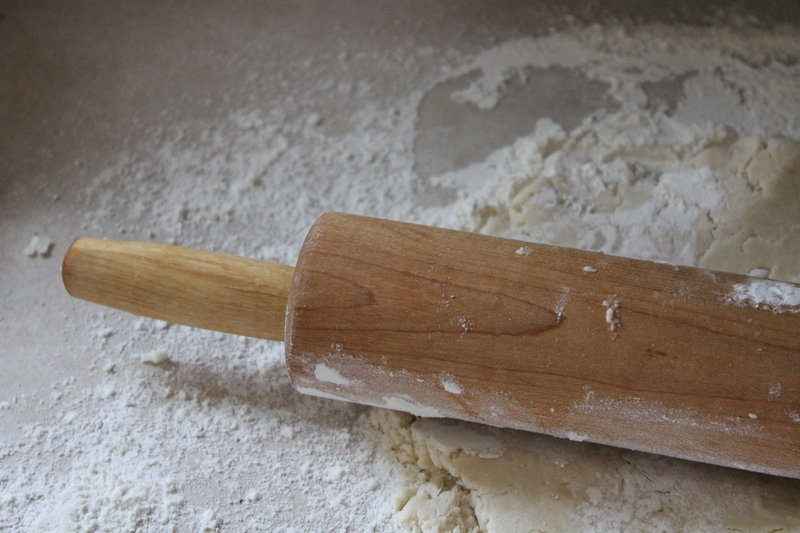 Do you need to chill the dough first (to rest the gluten) before you roll it out or bake it? I’m about to make a coconut oil pastry crust for savoury tarts or pastry like jamaican patties, so I was googling to see what other people are doing with their coconut oil pastry crusts. Yours seems like a no fuss recipe, which is my style! No, don’t chill the dough unless you need to put it in the fridge for just a few minutes if it’s too sticky. As you’ll see from other comments, this can make the dough too hard and crumbly. Delicious on homemade chicken & veggies pot pie. Four teens and set of grandparents concur. Thank you! I am making my first pumpkin pie tomorrow (eek!) and will be using your recipe! Do I bake the crust first then add the filling and bake again or can I just add the pie filling and bake all at once? This is really great! Tastes just like a butter crust. Thanks for sharing! I tried this last night but it crumbled under the rolling pin. It seemed to have no elasticity to keep it together. Could it be the quality of the coconut oil? Possibly. Did you refrigerate it? As you’ll see from the head notes and other comments, that can cause problems. Just wondering if you have tried this with gluten free pastry? I believe the best option for substitution is by weight, but cups. I will try this as I’m very keen to find ways to bake with pastry in a gf/df household. I’m sorry to report that my foray into coconut-oil pie crusting was a complete and utter disaster. I paid good money for a jar of the oil, which is like Vaseline but less pliable, and I noticed that the product that resulted from the mixing of the ingredients was quite crumbly so I put the balls of dough in the fridge for an hour or so. BIG mistake! They are now as hard as rocks and I will be throwing them out, using butter and offering my lactose-intolerant guest a Lactaid! Perhaps you should add a warning to your readers not to refrigerate the dough, which is commonly done with butter-based pie crusts. So sorry Jenn. The head notes say to only refrigerate if it’s too sticky, but I should have made that more clear. Thanks for this recipe! I just recently went dairy free and this sounds super easy, and I’m sure its delicious. I have one question though….. If I’m making pumpkin pie do I need to bake the pie crust first? The recipe calls for unbaked pie crust so I would assume not, but I have never made a pie before and I know nothing. Has anyone tried this with coconut or almond flour? Thank you for the wonderful recipe! If using this crust for an apple pie, does it need to be prebaked? I was wondering if you could use coconut or almond flour for this reciepe also I’m going to make yours today for a sugar free lemon meringue pie today!! This crust pie is literally the best ever!!!! Hi does this work for a big robust savoury pie like steak and kidney for example? Or is it more of a shortcrust and would taste weird? Hmmm. I’ve never tried it for a savory pastry, but I don’t see why it wouldn’t work. It’s not sweet, so I think it should be versatile. I’d be curious to know how it turns out. Report back when you’ve tried it!